Denver is the hottest city in the US right now. Here's proof. Our art scene is blowing up like nowhere else. The Denver Art Museum has put itself smack dab in the middle of the map. 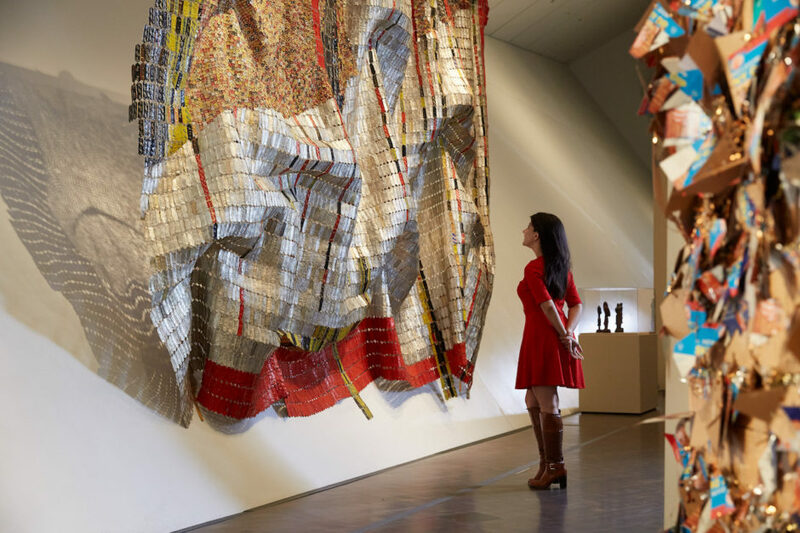 Or rather, the museum’s director, Christoph Heinrich, put it on the map with his notable exhibits, bringing national attention to the thriving art scene right here in The Mile High City. But what’s really catching the attention of art, design, and movie buffs around the country is the upcoming Star Wars™ and the Power of Costume exhibition, which plans to dive into the franchise’s universe, taking you to a galaxy far, far away. Featuring a display of over 60 original costumes, it will illuminate the creative process involved in molding George Lucas’ characters into the vivid realities Star Wars™ is famous for. Doors open November 13, 2016. 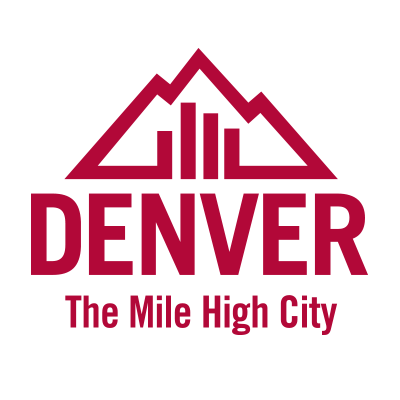 Of course, not all art lives in a gallery, so let’s not forget the Denver Center for the Performing Arts, the nation’s largest nonprofit theater organization. It hosts no shortage of the shows you’ve heard about a hundred times, but never dreamed you’d make it to. Kids still humming “Do You Want to Build a Snowman?” and dressing up like Elsa? Take them to see Frozen onstage before it even makes its debut on Broadway. Because, believe it or not, the Denver Center for the Performing Arts is actually one of the preferred destinations for Broadway tours in the nation. And yes, because I know what you’re thinking, you can expect Hamilton here in 2017. Denver music is better music. Everyone knows where John Denver got his name, but did you also know Earth, Wind & Fire’s singer Philip Bailey is a Denver native? And that’s just the beginning. There’s also Big Head Todd and Leftover Salmon, both of whom got their start in the area. And if those names alone aren’t interesting enough to make you buy an album, jam band Leftover Salmon describes their genre as “Polyethnic Cajun Slamgrass” — which is a fusion of bluegrass, rock, country, and cajun/zydeco. Sold on some slamgrass? Of course you are. It doesn’t stop there. Denver bands like Nathaniel Rateliff & The Night Sweats, The Lumineers, Tennis, DeVotchKa, Pretty Lights, The Motet, and Big Gigantic have been taking the world by musical storm. And you don’t have to head to Red Rocks to see killer shows by these artists (although you should if you get the chance). There are plenty of smaller venues in Denver to check out the local live music scene, especially in neighborhoods like South Broadway, LoDo, East Colfax, RiNo, and Five Points. Denver, you almost make it too easy for us to get our groove on. We recycle our old buildings. If you stick around Denver for more than a few days, you’ll probably pick up on a trend in town: A lot of old buildings have been reconstructed and put to new use, with awesome results. Local developer Dana Crawford is basically a celebrity around here — especially if you’re tuned into the world of rescuing brick and mortar — and is credited with “saving the soul of the city.” She’s known for rescuing the historic Larimer Square and is the woman behind the revitalization of Union Station. Since the 1960s, she’s been a part of the redevelopment of over 800,000 square feet of historic property in Denver. And that’s just the icing on the cake. Then there’s Paul Tamburello, owner of Generator Real Estate. He’s worked on development in the Highlands and LoDo, and turned some heads when he converted an old parking garage for a mortuary into a hip shopping complex for Linger, Lulu’s, Goldyn, and LoHi Athletic Club. And he turned a hotel and former brothel building from the late 19th century into the quirky and cool Ophelia’s Electric Soapbox and Hostel Fish you can experience today. Our community thrives on collaboration. Denver is like that rare kid who actually enjoys group projects. We even have a festival named for it. 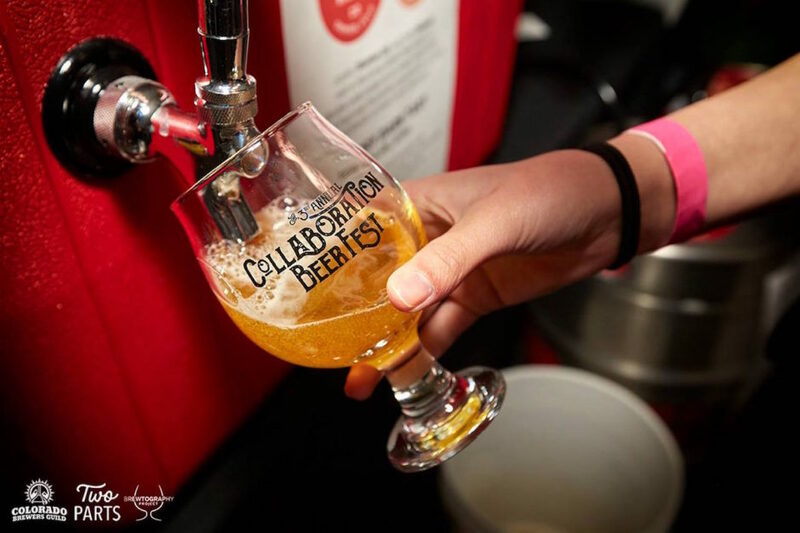 Collaboration Fest encompasses more than 75 collaborative and global beer projects, where each beer must be the delicious result of at least two breweries working together. And it’s followed by one heck of an after-party. Other collaborations have brought us the 18-piece ensemble of Michal Menert Big Band as well as the foamy and frothy romance between New Belgium Brewing Company and Novo Coffee (coffee-cherry-infused beer, anyone?). It’s almost impossible not to shop local here. Between a bounty of boutiques, shops, markets, cafes, and restaurants, you’d have more of a difficult time trying not to shop local here. 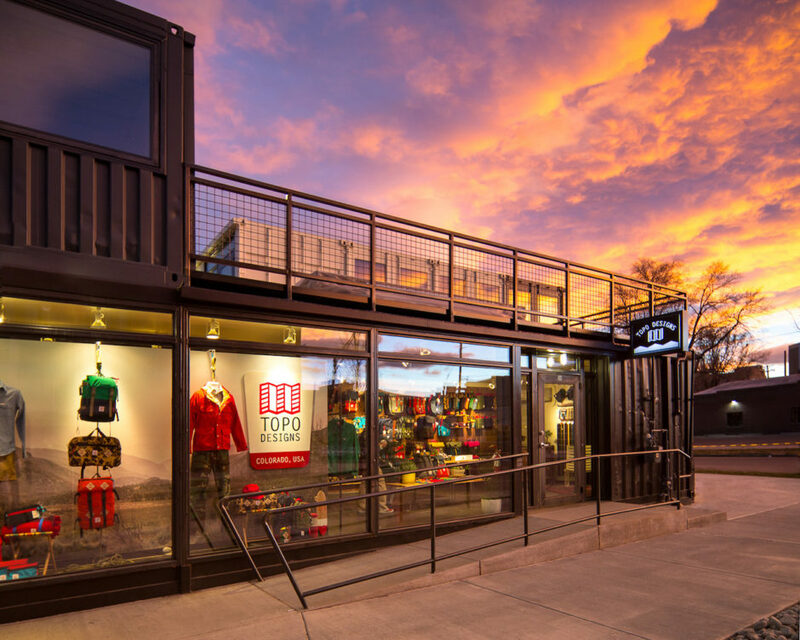 Some local businesses to check out in Denver are Topo Designs, an American-made outdoor apparel, gear, and bag store that shapes their philosophy around mimicking the simplicity of nature in their merchandise; Spinster Sisters, which sells natural soaps and lotions; and Tattered Cover, a massive independent bookstore that hosts as many as 400 authors, illustrators, and other people-with-interesting-things-to-say every year. Grocery shopping? Hit up The Source, an artisan food market that occupies an 1880s brick foundry; Denver Flea, which has anything and everything from magnetic cutting boards to homeopathic bath salts to honey sage biscuits; The Big Wonderful, bringing together art, music, and food (and drink!) in weekly markets in an effort to rejuvenate local neighborhoods; Stanley Marketplace, which is new this year and will feature roughly 50 independent local businesses in one space; Central Market, a collective of community-oriented food artisans (creating anything from ice cream to ramen to homemade pasta) that’s opening this year; and Horseshoe Market, which is the city’s prime spot for indie crafts and vintage goodies. In case you’ve been living under a rock, the Broncos won the 2016 Super Bowl. But did you know Broncos linebacker Von Miller was voted Super Bowl MVP? And that he was recently featured on Dancing with the Stars? We don’t just win at sports and celebrity jiving, either. Denver is known for all the Great American Beer Festival gold medals we’ve managed to snag in recent years — not to mention that our local speakeasy, Williams and Graham, was named the best cocktail bar in the country at the 2015 Spirited Awards. 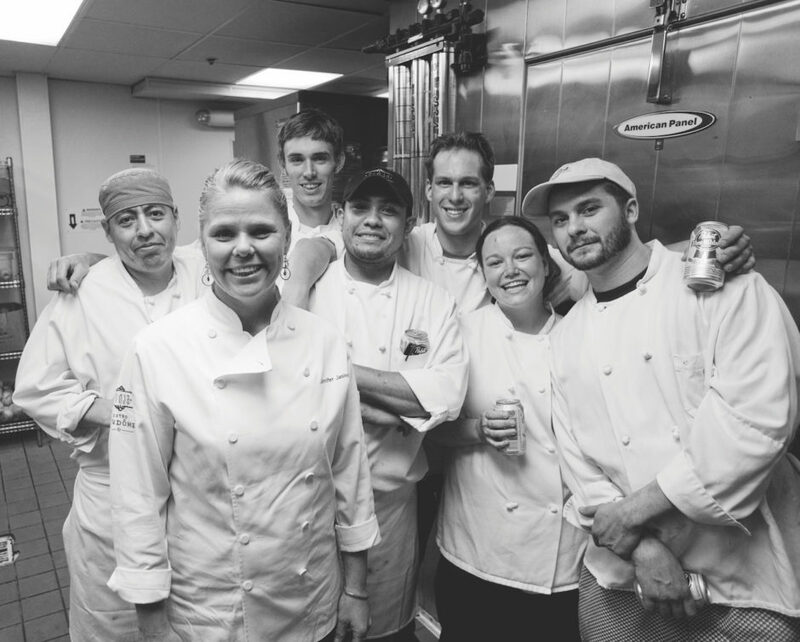 The best chefs in the country? You’re lookin’ at ‘em. Denver has some of the best food in the nation. And I’m not even talking about the abundance of green chili everywhere — I’m talking about the creative chefs, like Frank Bonanno of Bonanno Concepts. He owns 10 award-winning restaurants in Denver, which include Italian at Luca, Asian fusion at Bones, and barbecue at Russell’s Smokehouse. Then there’s the chef and composer at Edible Beats, Justin Cucci, who’s cooked up tasty treats at four local favorites: Root Down, Root Down DIA, Linger, and Ophelia’s Electric Soapbox. Another Denver chef, Alex Seidel — who’s been cooking since he was 14 — was named one of the 10 Best New Chefs in the country in 2010 by Food & Wine Magazine. He owns Fruition, Mercantile Dining & Provision, and Fruition Farms Dairy. Jennifer Jasinski is another local foodie-hero. She was named Best Chef Southwest 2013 by the James Beard Foundation — and she’s co-owner of four chef-owned restaurants in Denver: Rioja, Bistro Vendome, Euclid Hall Bar + Kitchen, and Stoic & Genuine. We’re actually known for more than beer. Of course, with a brewery always within arm’s reach, we understand the misconception. But what a lot of people — natives, transplants, and tourists alike — don’t know is that Denver is home to some of the best distilleries in the state. 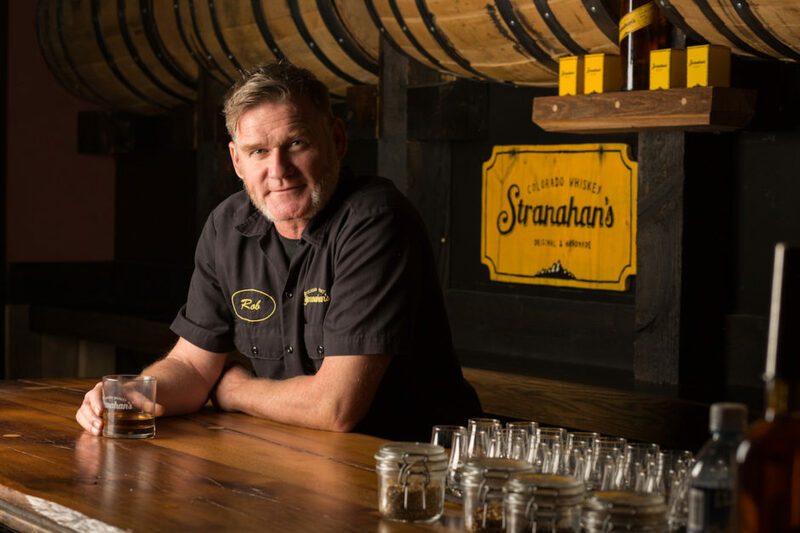 Stranahan’s holds the title of the first Colorado-born whiskey — the story of how its founders got their start involves a burning barn and a volunteer fire department. Nowadays, they still use small-batch distilling techniques and natural ingredients from Colorado to create an American single malt whiskey different from anything east or west of the Rockies. Stranahan’s doesn’t have a monopoly on Denver whiskey, though. You’re pretty much guaranteed to find spirits from the family-owned Leopold Bros on any cocktail menu around the city. In the mood for some Rocky Mountain Peach Whiskey or Rocky Mountain Blackberry Whiskey? Leopold Bros has you covered. On the other hand, maybe you fancy some straight malt whiskey, or perhaps some rye? Laws Whiskey House has your back. But with all this booze talk, we can’t leave out our flourishing wine industry. In Denver, you can visit wineries to sample award-winning wines right in the city. Perhaps the most intriguing is The Infinite Monkey Theorem Urban Winery. With the tagline “back alley winemaking at its finest,” they’ve done the unthinkable and started canning their wines. But seeing as they source their fruit from the Western Slope to create powerful local flavors, even the snobbiest of wine snobs can get behind Infinite Monkey — cans and all. 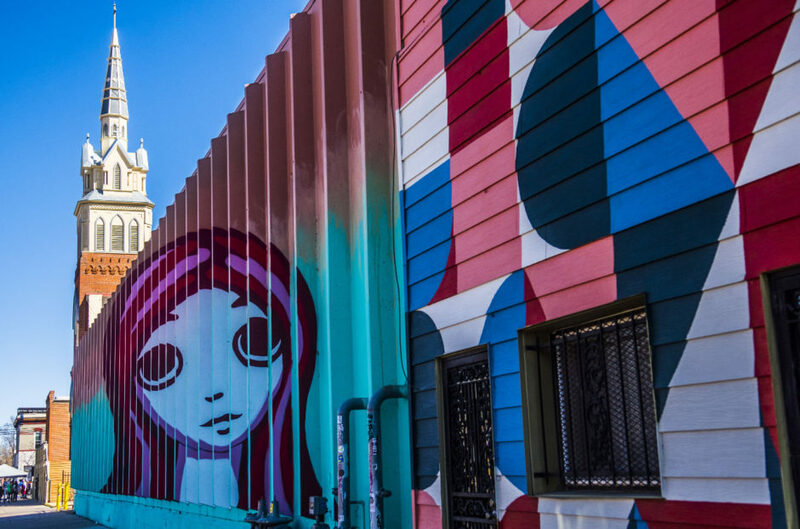 Our art districts are on point, and so are our artists. As for artists, there’s Jonathan Lamb and Michael Ortiz, owners of Like Minded Production in RiNo, a project that aims to bring more street art and murals into this world by blending public and private involvement; Tracy Weil, who’s been painting for more than 20 years and co-founded the RiNo Art District; and Jeremy C. Burns, whose paintings of faces you might notice on brick walls and buildings around the city. Our city isn’t just hot — it’s beautiful. From engaging street and public art and the redevelopment of old buildings like Union Station, to renowned art exhibitions in our museums and galleries — Denver’s undergone a makeover, and it’s never looked so good. 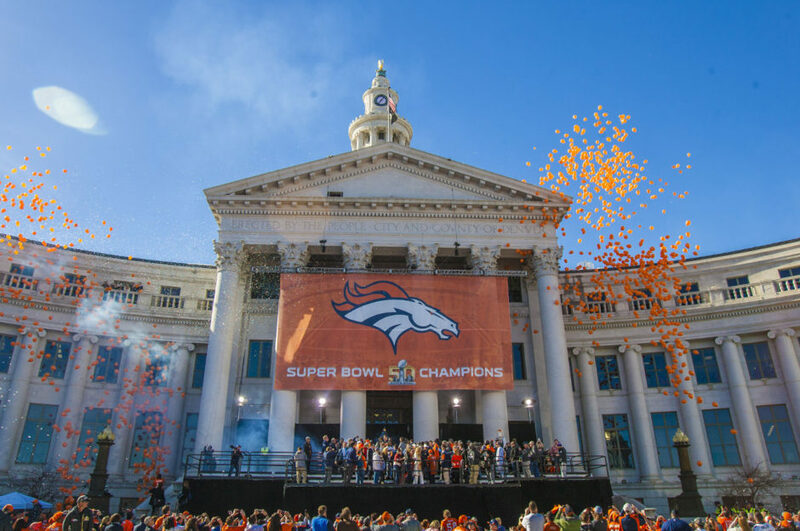 What’s more, not only is our Governor, John Hickenlooper, a founder of Wynkoop Brewing Company and music advocate, but Mayor Michael B. Hancock is also a former Broncos mascot. If nothing else, the fact that we have a governor who founded a brewery and a mayor who used to go by the name Huddles should say enough.